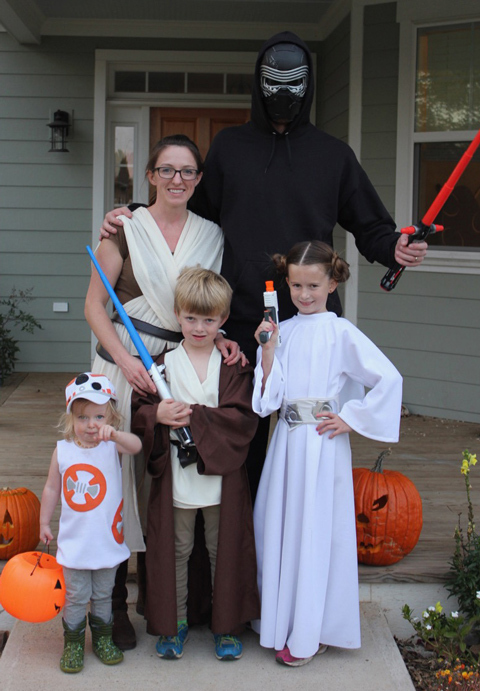 As we started talking about what the kids want to be for Halloween this year, I decided it was time I shared the fairly elaborate family Star Wars costume theme we pulled off last year. 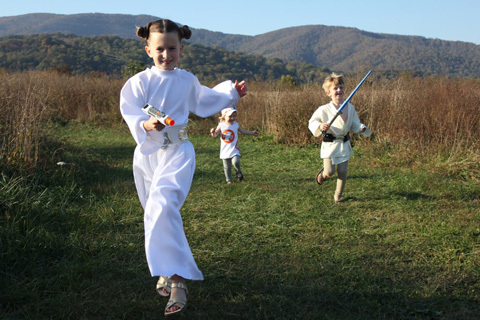 Louisa (8) was Princess Leia, Leo (6) was Luke Skywalker, and Lottie (2) was BB-8. I was Rey, and AJ was Kylo Ren. 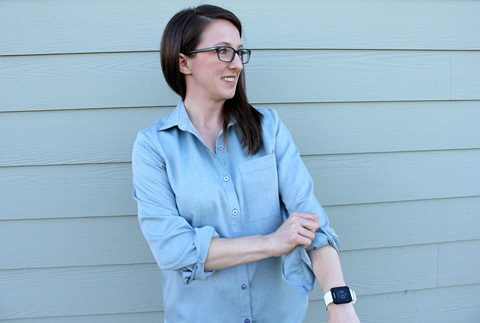 I've been working my way through the popular Grainline patterns (still have to blog my Morris Blazer that I made last fall) and I am very happy to have finished my first Archer button up shirt. 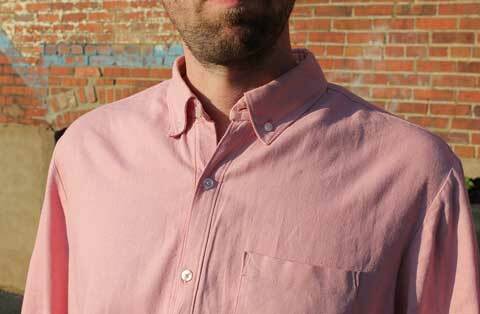 While I have made collared shirts for Leo and A.J., I haven't made one for myself before. 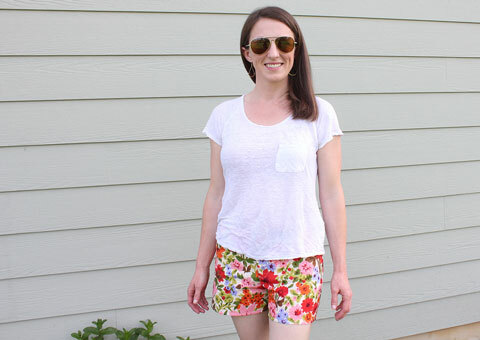 I sewed a size 6 with no alterations. I measured a size 8 in the bust but I knew it was a loose fitting style so I went ahead and crossed my fingers that the size 6 would work, and it does. 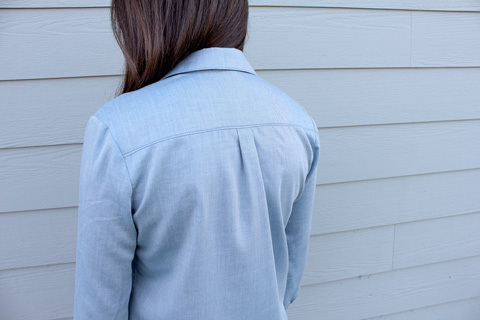 As a side note, I am definitely interested in trying Liesl + Co's new Classic Shirt Pattern, since it comes with a range of cup sizes... I love to avoid doing full bust adjustments. 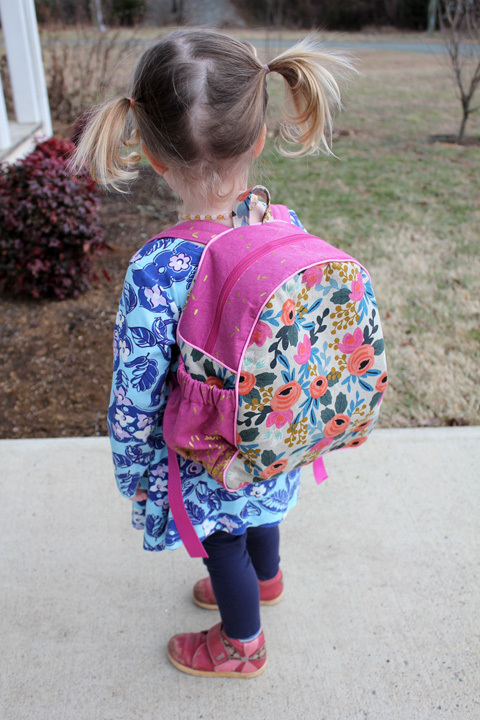 Lottie's been going to a fantastic preschool a few mornings a week since April, so she is long overdue for her own backpack! She doesn't usually see the big kids getting on the bus, but a snow delay this week left her in tears for one of her own. The timing was perfect because I had just cut this one that I've had on my to-do pile for months. 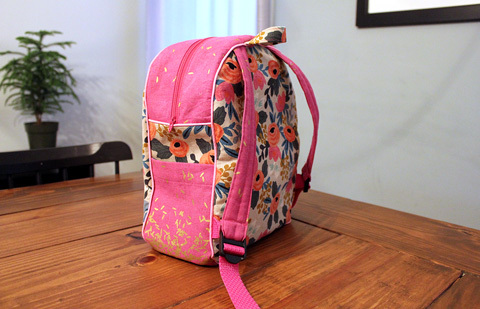 This is Made By Rae's Toddler Backpack, which I also made for Louisa and Leo. 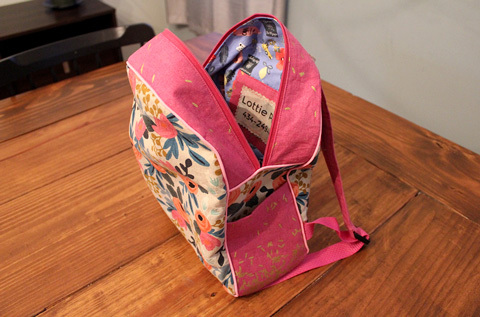 I used Cotton and Steel fabric from the beloved Rifle Paper Co.'s Les Fleurs line (rosa floral canvas in natural), and Rashida Coleman-Hale's Mochi line (canvas in scattered pink). Both are a cotton-linen blend and a little bit lightweight, so I interfaced everything with a medium/heavy weight interfacing. 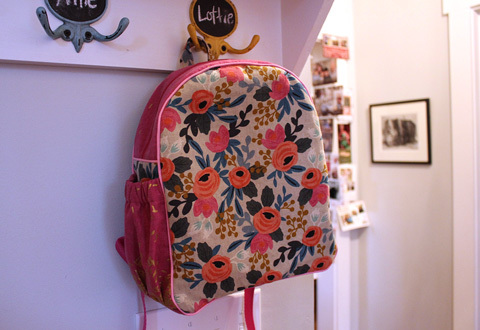 The lining is also from the Les Fleurs line, Bon Voyage Periwinkle. I liked the travel theme inside because the kids have been using these bags for road trip supplies well beyond toddlerhood. I put her name and my phone number inside with some iron-on transfer printer paper. 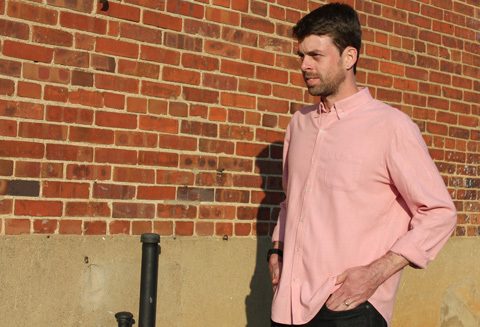 The only alteration to the pattern was to add an exterior slip pocket on one side and an elastic pocket on the other. 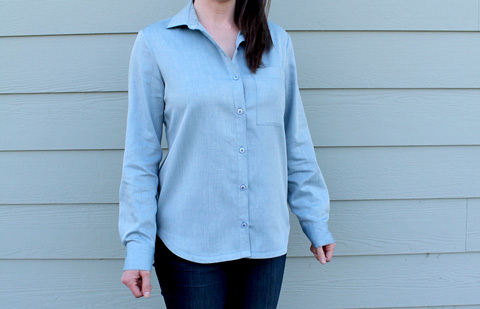 The pattern is McCall's 6613. I made A.J. a size large. After a lot of measuring and even tissue fitting, I added length to the sleeves. In the end I'm calling this a "wearable muslin" because the sleeves are too long and the front and back could actually use another inch for his taste. He is 6'6" for reference. 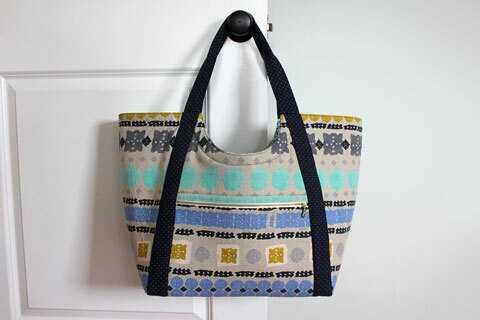 I've had the Poolside Tote by Noodlehead on my to-sew list for a long time. 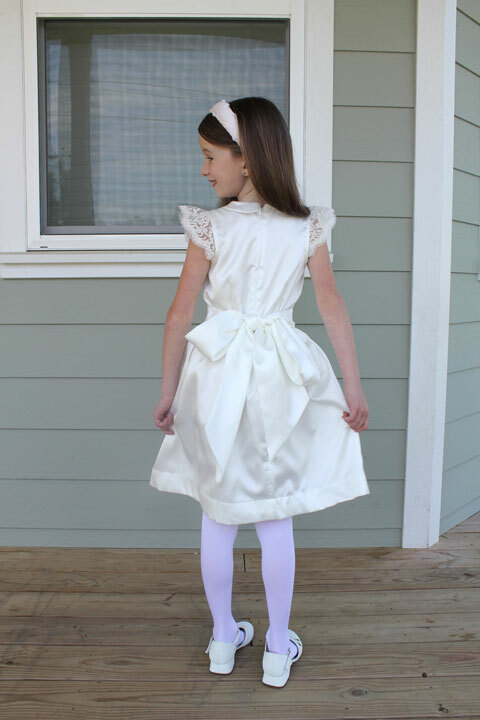 I love Anna's patterns and I consider her instructions really well written and illustrated. I used Cotton and Steel fabrics from Alexia Marcelle Abegg's Paper Bandana collection, all purchased from Hawthorne Threads. 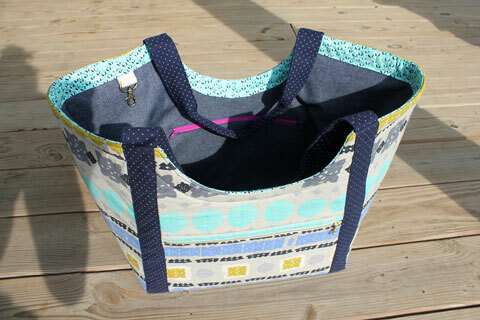 The outer fabric is "paper cuts sky" canvas, and the handles are "add it up navy" quilting cotton. The accent fabric is "panda bebe turquoise," also quilting cotton. 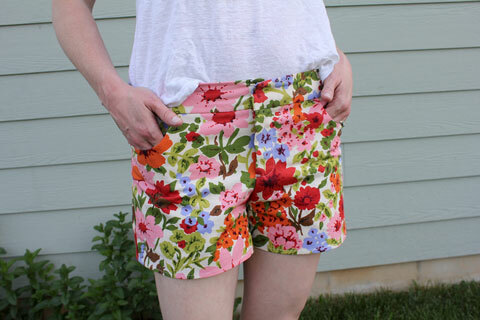 I made my first pair of Grainline Maritime Shorts, a pattern I have been wanting to sew for a while. I made a size 6 with no alterations and I am very happy with the fit. 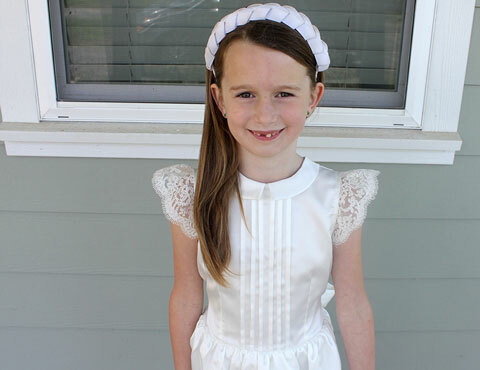 Louisa celebrated her First Communion on Saturday, and somehow or another I managed to make her dress. 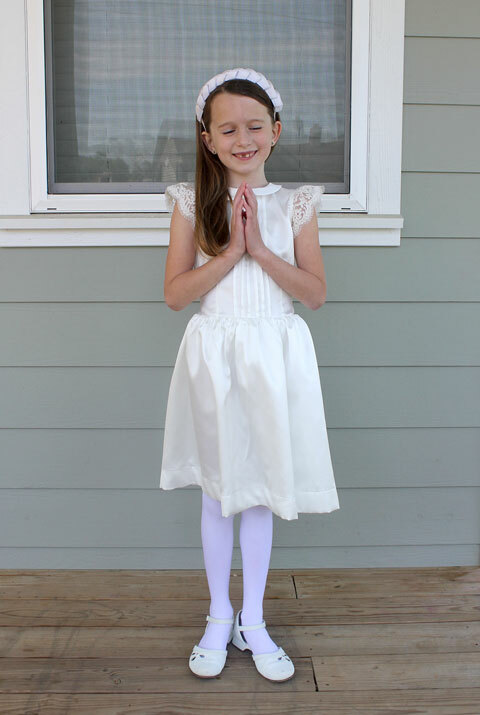 I used the Oliver + S Fairy Tale Dress, view B, size 7 bodice, size 8 skirt. I added some pintucks to the bodice and lace to the arm binding. Over the winter I had my first go at the Hudson Pants pattern by True Bias. I used some black french terry from imagine gnats. It was a little shinier than I expected/wanted, but I figured I'd make them as a wearable muslin since I had never sewn it before. 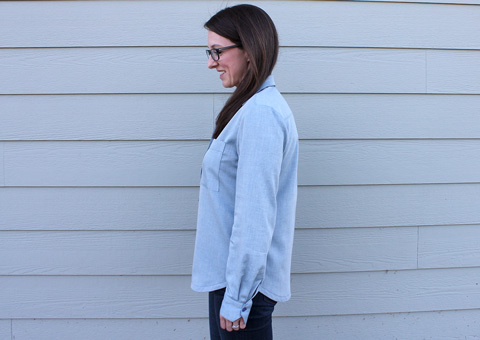 I made size 6 with zero alterations, mostly on my serger.